Barcelona is an incredible city that offers something for everyone: art, architecture, culture, natural beauty, sunny beaches, food and wine… It’s also one of the top cities on many lists of the world’s most accessible destinations – blogs from Disability Horizons to Student Universe rate it 2nd only to Berlin. To us, accessibility is about more than wheelchair access. Many of us want to enjoy sights and adventures without having to climb a 7-storey tower or walk miles every day, so we’re looking at this side of things too. We think one of the best ways to enjoy a city is via its public transport – especially buses and trams that enable us to hop off wherever we like, walk as much or as little as we like, and immerse ourselves in the real heart of a city. Barcelona offers all sorts of bulk-trip transport tickets, making getting around a breeze. Wheelchair access means fewer or no steps to climb, and lifts to get you to different levels when you visit attractions. So do all of Barcelona’s beaches. Some even assist visitors with reduced mobility in enjoying a swim! Nova Icària Beach, for example, offers accessible changing rooms, amphibious wheelchairs, a winch, life vests, parasols and a volunteer service over the summer. Many hotels have upgraded, but check details carefully before you book. Wherever you go and whatever you do, make sure your travel insurance covers you appropriately – that includes a detailed medical declaration of all pre-existing conditions, as well as details of where you’ll be going and the activities you plan to participate in. If you want to use an amphibious wheelchair at the beach, make sure that’s covered. The same goes for any hoists, winches or other equipment – and wear that life vest during the relevant sea or boating activities – it’s an important rule for your safety and for the validity of your travel insurance policy! The hop-on-hop-off tourist buses are excellent, and most have wheelchair access so they’re a great way to start. Barcelona’s Picasso Museum is one of the first priorities for art lovers and it offers full accessibility, but please note that it doesn’t have its own car park. Getting there can involve a bit of a walk from bus stops and metros, so this is one of the times we’d recommend using a taxi if you’re less mobile. Just a minute or two from the Picasso Museum is the (much smaller) European Museum of Modern Art (MEAM) – the art is interesting but we’d go there primarily for an evening of live and lively music – check their website to see what’s on. There’s step-free access, a decent bar service, and plenty of places to sit and take a break. Parc de Montjuic and Fundació Joan Miró are a fully accessible, breathtaking day out. The Montjuic funicular is a fun way to get there, or you can take a scenic bus ride to a nearby stop with public transport and hop-on-hop-off tourist buses. - Miró’s art was one of our trip’s highlights. - A ride on the Montjuic cable car gave us a whole new perspective of this enchanting city. - More mobile visitors can get down to the lower terraces too, via steps or a very welcome escalator. Segrada Familia, one of Barcelona’s most iconic attractions, is mostly accessible but wheelchair users will have a much easier time if a companion comes along. As construction is ongoing, there can be different routes and access points at different times. Some ramps are also quite steep. Although the towers aren’t wheelchair accessible (there’s a tiny lift and a few stairs) the main area is, and it’s an amazing sight to see. 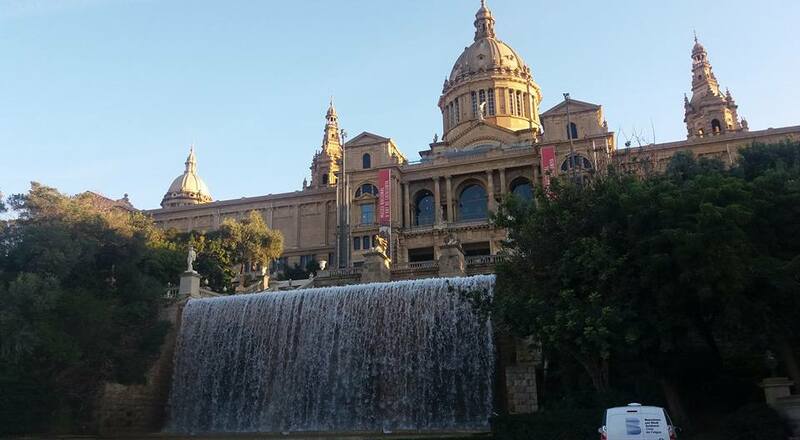 If you’re after some entertainment, most major theatres and Liceu Opera Barcelona, the beautiful opera house on La Rambla, are very accessible. Of course there’s so much more to explore with ease, from striking street art and monuments to markets, museums and cathedrals. Restaurant accessibility can vary, but many are adapting and upgrading. Many of the eateries along La Rambla are accessible, but try heading down a few of the side streets for more authentic fare. We loved Plaza Real, just a few minutes from La Rambla and Palau Guell, a beautiful setting for dozens of restaurants and bars with varied cuisine, prices, and accessibility options. As Is the case with most large airports, you can request assistance – this must be done ahead of time. Barcelona Airport complies fully with access requirements, including lifts, mechanical ramps and walkways, escalators, and demarcated parking bays. Maximum wheelchair dimensions for trains are: width 700mm (27.5 inches), depth 1,300mm (51.18 inches), and height 1,400mm (55.11 inches). Metro (TMB)/underground/FGC – while more and more metro stations have full accessibility, there are still some (upgraded pre-1992) which do not, so check before you travel. Lines 2, 5, 10 and 11 are fully adapted according to Barcelona-access.com. All stations on these routes have lifts from street level, as well as platforms that are level with carriages. Some stations are “partially adapted” and have lifts, however the platform isn’t level with carriages so wheelchair users may need help getting on and off the trains. Not ideal, but unless we’re in a hurry, we prefer the bus anyway! For transport to and from the airport it’s usually much easier and quicker to take a taxi. Barcelona’s port shouldn’t be left out, as it offers cruise passengers an “obstacle-free” route, and an accessible shuttle bus service. Ferries to nearby ports are also available, but you should check accessibility for your journey. Just as we told you in our blog post about UK mobility and travel, it’s always a good idea to check the distances you’ll be walking, the amount of time you’ll be on your feet standing in queues as well as walking around, lifts and ramps, handles and railings, and the distances from car parks or bus stops to actual entrances. 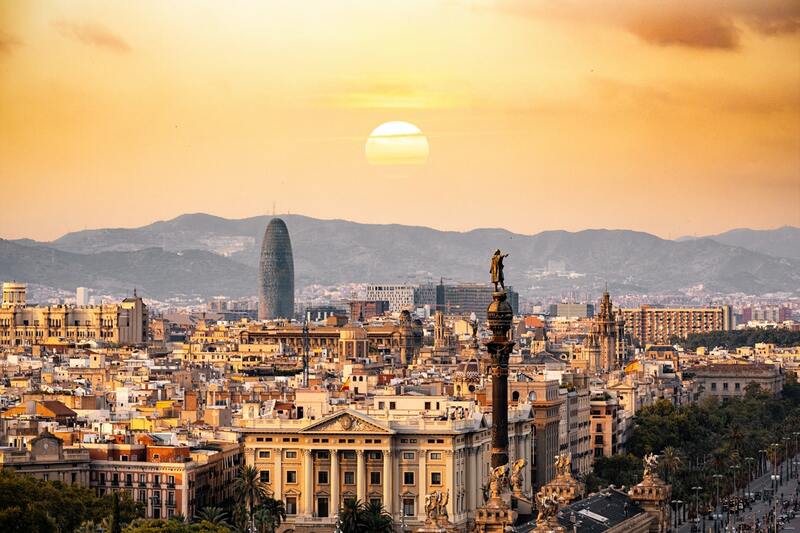 Some Barcelona attractions will arrange easier access if you call ahead, such as allowing a taxi to get closer – it’s always worth asking to improve your experience!